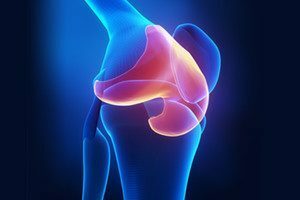 Cartilage is the connective tissue that cushions the impact on bones and joints. When there is damage to cartilage in certain areas, a permanent disability can be caused. It is relatively easy to injure cartilage, and it can take a long time for it to heal. Some types of jobs place stress on joints over a long period of time and thereby wear down cartilage slowly through repetitive stress, but some cartilage injuries such as slipped discs or tears to the meniscus are the result of acute injury or trauma on the job. If you suffer a job-related injury in Boston or the surrounding communities, the experienced workers’ compensation lawyers at Pulgini & Norton can help you seek benefits. You can recover compensation for job-related injuries irrespective of fault, even if you developed your condition over a period of years. You would have to show that the harm arose from and in the course of job duties. This can be difficult in the case of "combination injuries," when a pre-existing degenerative condition combines with a work accident or repetitive stress injury. The workers' compensation insurer has the right to have you examined by a doctor of its choice. This examination is called an independent medical examination (IME), but in many instances it is not truly independent. However, an insurer can suspend compensation benefits if you refuse to go to an independent medical examination. When you go to an IME, you are not receiving treatment for the injury. Instead, the doctor will perform the examination and report to the insurer about the exam. If the IME report supports such an action, the insurer can file a claim with the Department of Industrial Accidents (DIA) to reduce your benefits or stop them altogether. The DIA is an administrative board that handles claims related to workers’ compensation benefits. It has an impartial physician program that was created because the medical reports submitted to the DIA often supported the position of the side that hired the doctor to perform an exam. The program has a number of impartial physicians, including board-certified specialists. They present reports to help judges make decisions on disputed workers' compensation claims. There are several phases your case will go through at the DIA. When a medical condition is in dispute, a formal hearing does not take place until one of the impartial physicians examines the injured claimant and provides the judge with a written report. Although the impartial report may be the sole medical evidence a judge considers, a judge can admit additional evidence if it finds that the impartial physician's report is inadequate or there are complex medical issues that necessitate additional evidence. If you have suffered cartilage injuries because of a job in Boston, you should consider consulting a workplace accident attorney at Pulgini & Norton. In many cases, cartilage claims are difficult to prove, and insurers may try to avoid providing the full benefits to which you are entitled by arguing that you have a pre-existing condition or a combination injury. Our attorneys can advocate for your interests to the insurer and before an administrative law judge. We represent workers in Somerville, Cambridge, and Medford, among other Massachusetts communities. Call us at 781-843-2200 or contact us via our online form for a consultation.